An online presence is a must for any modern company. Much of business has moved into the digital world, and there are already leading global companies that earn more from their websites than from their physical locations. In their quest to be different, companies are increasingly investing in web application development services. Web technologies have reached a level that allows for web application development that comes close to, and in many ways surpasses, the functionality of the desktop software. Unlimited number of customers Through web application development, you can reach an unlimited number of customers all over the world. The opportunities that the Internet gives have no limit, and developing your potential depends on the realization of your business plans, marketing strategies and the implementation of the desired web application development. Personalization The uniqueness that can be achieved through web application development is an extremely important asset. In today’s saturated market conditions, it is very important for a company to stand out among its competitors and offer customers a service tailored to their specific needs and one that is possibly unique on the market. Efficiency Another important advantage of web application development for businesses is the ability to optimize different processes and thus save money. The development of technology increases the efficiency of web application development while increasing the number of satisfied customers. Professional web application development companies constantly monitor trends in the field, thus creating the right application for the needs of their customers. The use of web application development allows you to store all the necessary information online. This saves money for companies and their customers from physical storage devices. The investment in web application development gives freedom of access. You and your customers can use a web application from anywhere in the world, the only condition is to have access to Internet and a working laptop, computer, phone or tablet. Detailed reports Like the majority of software products, web application development allows for different types of reports. Through the logs of a web application, each company has the ability to track and analyze important customer behavior data. Easy maintenance and optimization Professional services in the field of web application development necessarily offer support and future optimization of the web product. As with any software and web application development, changes and optimization are required, which are carried out continuously. Business owners do not need to spend time and effort in this direction, but simply leave these processes in the hands of the service company. Security A very important aspect of web application development is the availability of a secure environment in which important data from companies and their customers will be maximally protected from unwanted access. 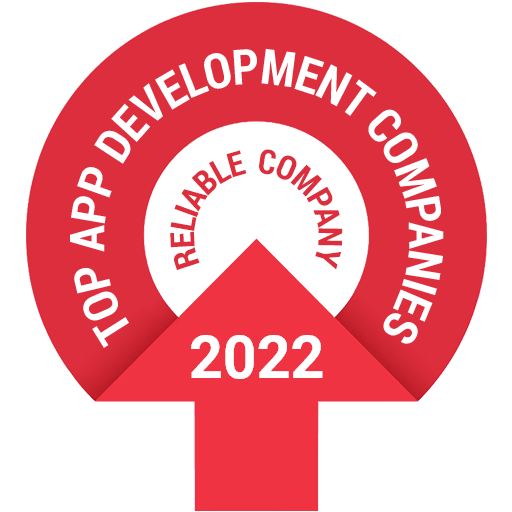 Companies that offer professional web application development services put a lot of resources into protecting the integrity of the information contained in an application. This ensures the confidence of both customers and entrepreneurs who have invested in web application development. Affordable price All of the above-described benefits of web application development form a comprehensive service that is available at today’s highly competitive IT market at extremely reasonable prices. Worldwide, there are many professional companies that offer high quality web application development in affordable price packages. Zibtek has years of experience in web application development services. Our rich experience in state-of-the-art web development applications (heavy JS, MVC frameworks, DJango, Laravel, etc.) guarantees our customers the maximum you can achieve technically with your ideas. Zibtek offers web application development for the specific needs and purposes of its customers – from a web application to optimize a particular aspect of the business, automate a process or a web application with which improved accountability is achieved. As technology evolves, the number of things that could not be done through web application development is steadily decreasing. If you can imagine and describe it, we can create it for you. Zibtek has realized numerous successful web application development projects for various clients around the world. Our team of professionals and experts is proven in the industry, and our project managers are based in the United States, which contributes to easy communication between our specialists and end customers. Quality guarantee Zibtek has highly qualified web application development professionals who will satisfy even the most demanding requirements of our clients. Zibtek will turn your ideas into a unique web application, using the most advanced standards in web application development. Transparency We, the team of Zibtek’s team, insist on the transparency of our relationship with our customers from the very first meeting. All our clients receive detailed reports about our web application development work. Our project managers are always ready to answer customer questions. Professionalism Knowing the critical moments in the field, asking the right questions and blending them with innovative solutions and advanced quality control techniques, we will provide you with a web application development that works in full consistency with your business model and caters to all your requirements. From the overall design and development planning, we focus the project on the goals of our customers, which in turn are the most important ingredient in our decision-making process. Affordable prices Zibtek has a team of professionals around the world. Our experts in the field of web application development, in addition to years of experience and extensive field knowledge, offer extremely affordable prices to our clients. Depending on the wishes for implementing web application development, we will prepare the most appropriate individual offer for each of our clients. The combination of professionalism, years of experience, competitive prices and transparency form a high quality web application development service that will satisfy even the most discerning clients. If you are interested in web application development for your business, contact us. We will be happy to discuss the opportunities and give you a price and timeline. Even if you do not yet have a specific idea, we will be able to advise you and offer a solution that is most appropriate in your specific case.